Our SFC baths are based on the VariLab System and are configured for the special needs of SFC-methods. Each bath has a number of temperature zones which can be automatically controlled to rapidly change the temperature during the melting curve analysis procedure. They are the ideal alternative to water baths being more energy efficient, smaller and quieter. They also comply with the AOCS official method Cd 16b-93. Despite their simple appearance, they house the latest Peltier technology and offer maximum energy efficiency, able to reach maximum temperature with minimal energy, noise and lab space. The color touchscreen interface provides a simple panel for you to control your instrument. It displays constant status information and the operation is self-explanatory. The design, colors, language and functionality can all be customized. 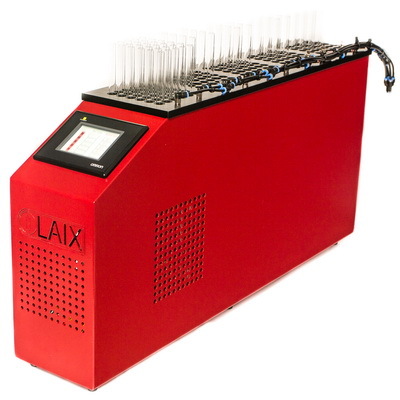 Behind the screen is a high-performance temperature controller that assures exact and fast tempering. It has been designed specifically to work with Peltier elements and operates in harmony with them to maximise lifetime and performance. Heat dissipation is optimized for low noise operation. Knowing the application conditions of our baths, we focused on the lifetime, reliability and user friendliness. Each temperature zone can be individually switched and removed from the aluminum block for cleaning. Furthermore, in the event of the need to replace a zone, this can be completed without interrupting the operation of the other zones. It is also possible to run the baths with an automatic calibration, saving weekly or monthly manual calibrations. 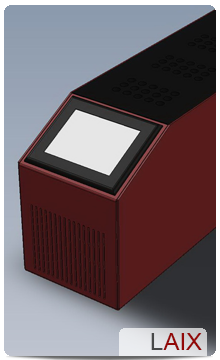 The PDBs are available with one, four, five or six temperature zones. The tempering units are identical and fully compatible for all systems. Each zone has 18 or 36 positions with 10.35mm hole diameter..